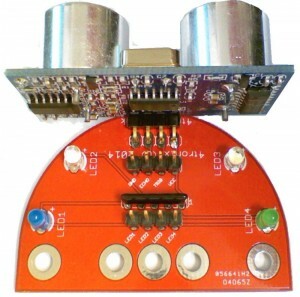 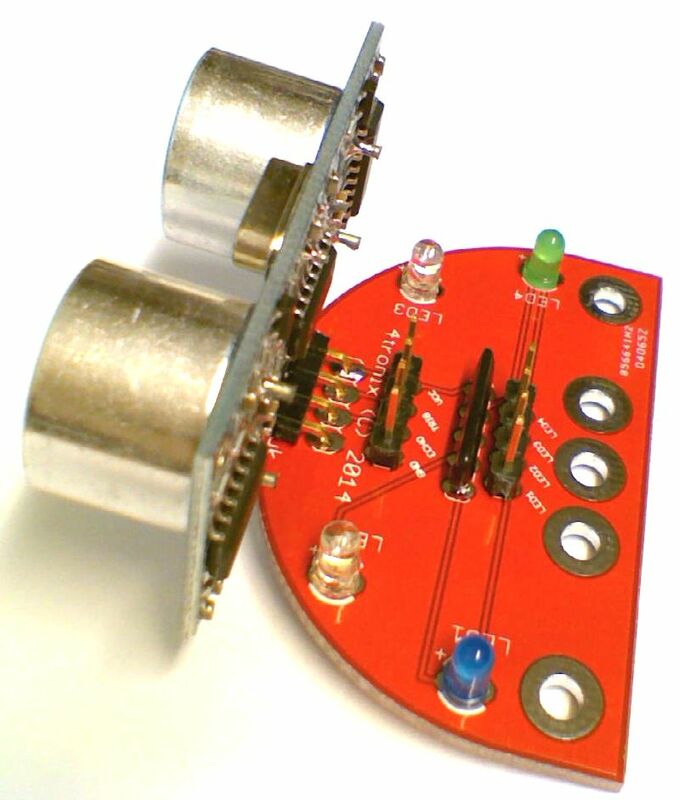 This kit makes it easy to mount a standard SR-HC04 ultrasonic sensor on the front of a robot. The sensor itself is soldered to the PCB which acts as a carrier, additionally having M3 mounting holes at various spacings. 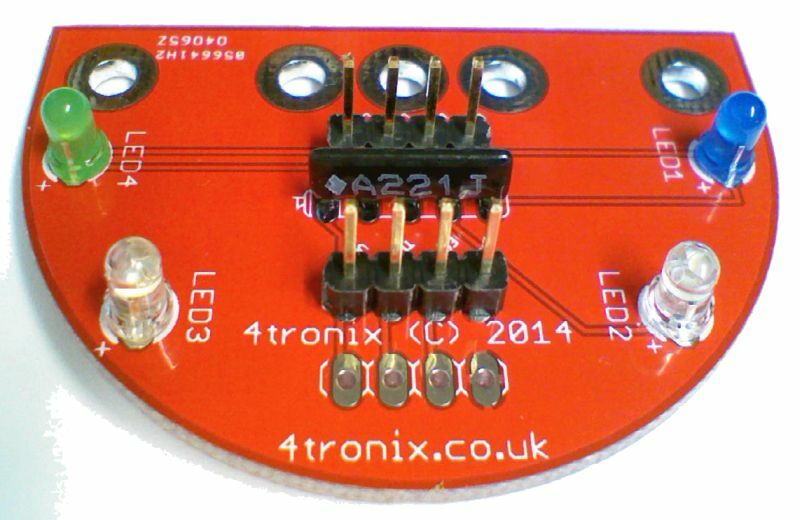 The board also carries 4 LEDs with the necessary series resistors to be driven directly from Arduino or Raspberry Pi GPIO pins. 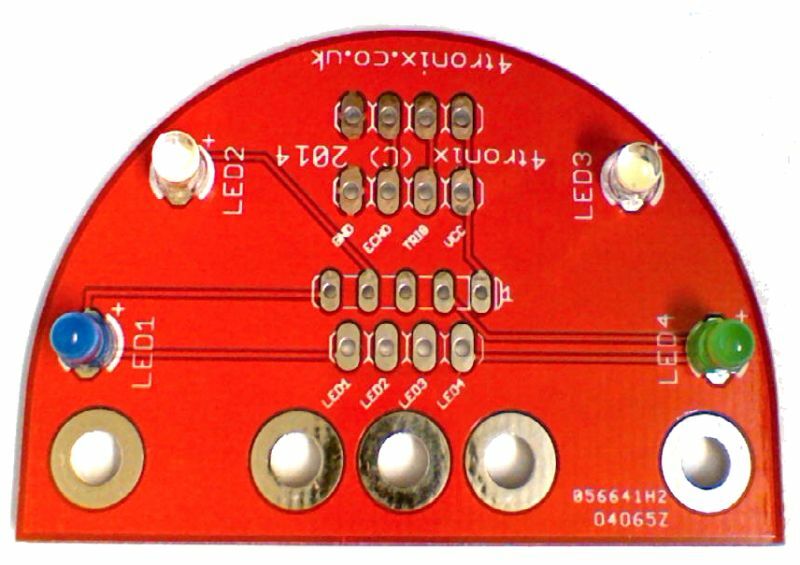 It doesn’t really matter where you put each LED, but the standard way for our Pizazz robot is as shown above. 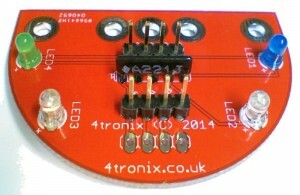 The resistor pack must be placed the correct way round, with the white dot next to the ‘1’ marked on the PCB. 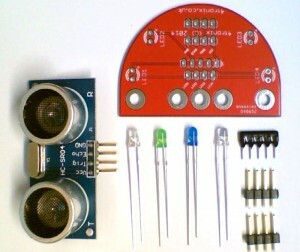 The writing is therefore point towards the ultrasonic mounting points as shown in the photo above. 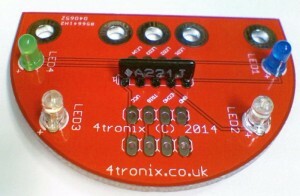 Again, solder one pin first then straighten it out using the same method as for the headers.